Well, they are both of course contraceptions with the same objective of regulating birth rate to avoid unwanted pregnancy. The only difference is that in artificial contraception is more effective in the regulation of birth rate than that of the natural method. 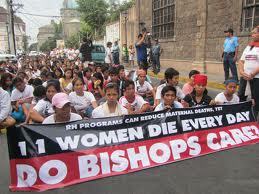 However, the Catholic church forbids the use of artificial contraception in the guise of morality. The truth is whether natural or artificial they have the same common intent and objective, to regulate birth rate. Besides, couples know fully well that using the natural method, the rate of women to get pregnant is high than using artificial contraceptives because of the hassles for most women beset especially in the determination of which safe and unsafe days for them not to get pregnant in using the natural method. Most often they commit mistakes in its determination that sometimes lead to unwanted pregnancy. Unlike the artificial contraceptive like the pill which is safe, convenient for women to use and effective in preventing pregnancy. With the passage of the RH bill, some say that the government would now allocate a budget for this purpose thereby enriching multinational manufacturers of artificial contraceptives, with public funds. However, enriching private entities peddling contraceptives with public funds are just lame excuses for people who don’t understand the favorable economics that could be derived in regulating population explosion. In the 60’s the Philippines was next to Japan who rank first economically in Asia. Now our neighbors, Singapore, Taiwan, South Korea, Malaysia and now China have edged as out economically because they are in hot pursuit in regulating their burgeoning population bringing their population growth down into a minimum decimal percentage rate while the Philippines continued to enjoy a briskly 2.5 percent population growth rate since then. Our population of 27 million in the 60’s has risen to a hundred million today according to NSO.That is almost quadruple times. What happened to us economically then? Well, we are still second but not from the top anymore but sadly second from the bottom of the economic ladder. Though life was simple then in the 60’s there was already a big disparity if how our standard of living fared then compared that of today. The minimum wage that time could sustain a family of four children modestly because basic commodities were cheap then compared to the minimum wage of today where a childless family is struggling to make ends meet because basic commodities are too expensive. The ballooning of our population is the effect of what the catholic church wants us to do and not what we are supposed to do to regulate birth rate. 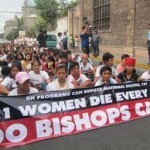 The church motive is clear why they are against artificial contraception, they are afraid that once majority of Filipino catholics use it, population growth rate of the faithfuls would dramatically decrease so with their revenues derived from their services (wedding, baptism, confirmation, funeral, house blessing or any form of blessing, catholic school enrollees, feasts, etc.) which they are financially dependent plus their regular remittance to Vatican would also be greatly affected. In fact their business interests have diversified from the regular catholic church mainstream into a progressive groups like the el Shaddai and el Shalom for people to take their preference but with the same intention of raising revenues from their members. Their against of the RH bill is understandable that they have to do something by all means if they see them in contrary to the business interests they are protecting….. their survival.